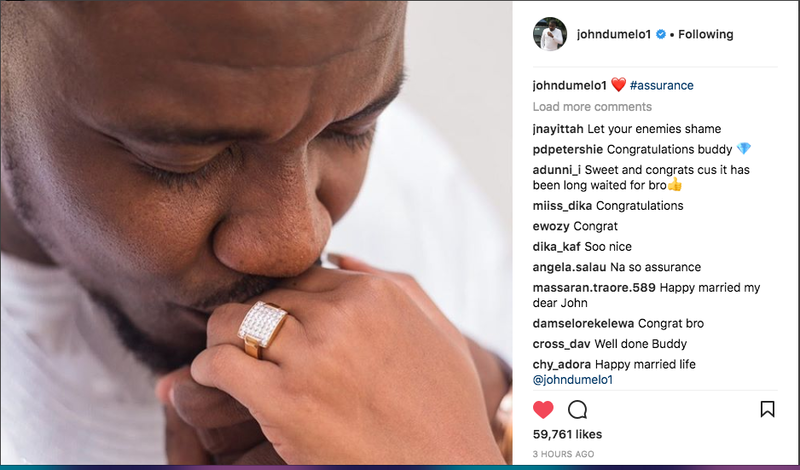 So A-list actor John Dumelo got married over the weekend to Gifty Mawuenya Nkono, sister of Selassie Ibrahim and bestie of Nadia Buari. It came as a shock and no one was really expecting the actor to even get married this year but then John made a decision to leave the bachelors table and we are so happy for him. 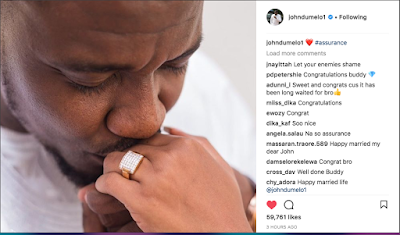 When news broke that the actor was getting married, some people thought it was actually a stunt as he had done a similar thing like that in the past before but lo and behold, the day for his wedding came and the pictures started inundating Social media–Everyone was talking about John’s wedding and that proves how big he is as an actor. Now that John is fully married, he’s made his first post on Social media and this has stamped his evidence sheet that he’s really married for real. John’s wedding was attended by some top celebrities in the country and even the former president of the land, John Dramani Mahama was even there. 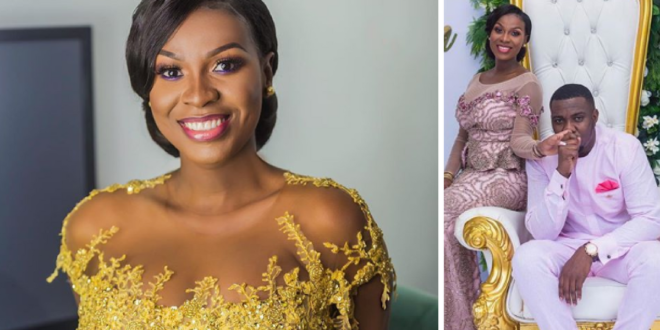 John Dumelo has fulfilled his promise to Mawuenya and has landed her the assurance ticket–which is the ring. From all the photos flying on Social media, you could clearly tell John really loves this lady. He didn’t write any long essay when he posted this romantic photo of him planting a kiss on the hands of his wife, Mawuenya. Yes, you get the whole ‘Assurance’ thing from Davido right?